They only went out for a stroll… to let the food cool down. Ten minutes, tops. But when the three bears got home the house was a mess and Baby Bear’s porridge had vanished completely! And that was just the beginning! Broken chairs, unmade beds and a mysterious visitor who takes Baby Bear on a breathtaking adventure that turns his house and his world upside-down! The dazzling Stuff and Nonsense return to The Drum this Christmas with a thrilling adaptation of everyone’s favourite beary-tale! A brilliant mix of ingenious puppetry, music and mischievous moments for everyone in the family aged two and above. Morning and afternoon performances daily, see the Dates and Times tab for the full schedule. Sunday performances 28 Dec and 04 Jan only. Colouring Competition – Win a Family Ticket! 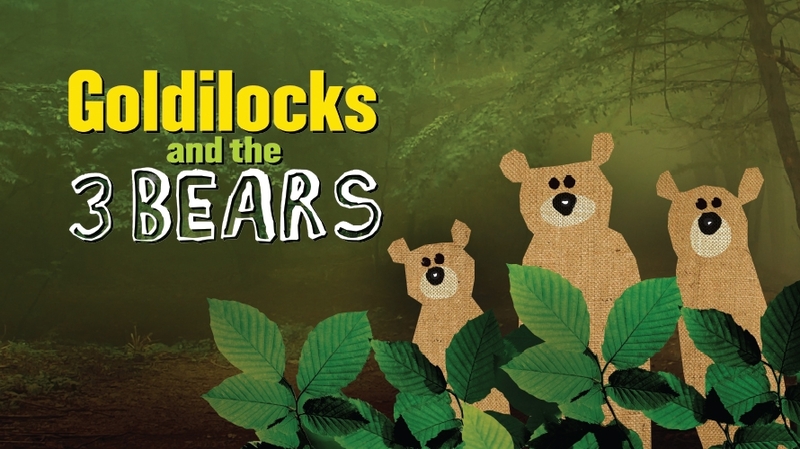 We’re offering the chance to win a family ticket* to Goldilocks and the Three Bears! To enter, simply help us to redecorate the three bears’ cottage and draw Goldilocks next to them (you can download the outline on the right). Send your entries back to us before the 11th December (winners will be announced on the 12th December). Back to What's On Next Production: What the Dickens?